Why, yes! We ARE using social media in our marketing campaign! via darkroastedblend.com Chalk one up for the Milwaukee Public Library. 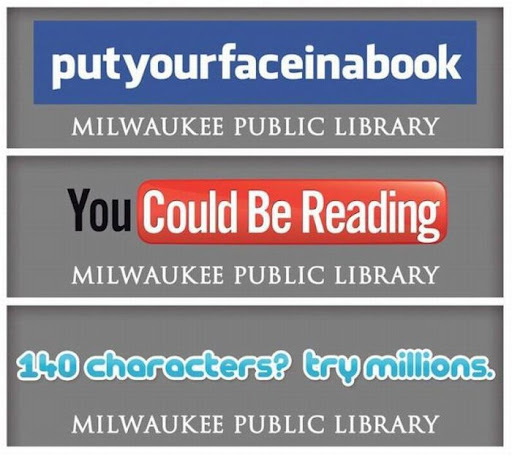 Chalk one up for the Milwaukee Public Library.